We last saw filmmaker Kevin Smith’s iconic characters, Jay and Silent Bob, in 2001’s “Jay And Silent Bob Strike Back” – a film in which they drive across country to stop Hollywood from making a film about them. 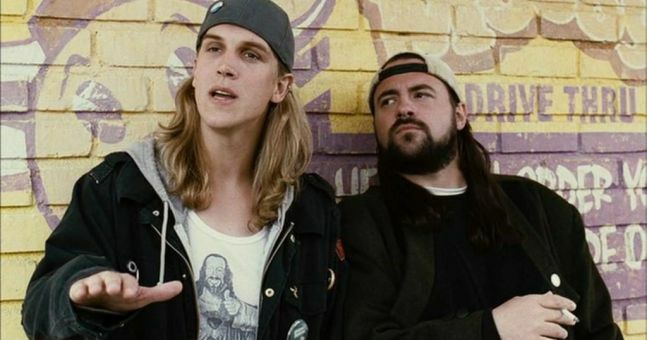 Now a reboot is in the works, with the next film entitled “Jay And Silent Bob Reboot.” Smith said the new film will again follow Jay and Silent Bob across country as they try to stop Hollywood from making a reboot of the film they originally made in “Jay And Silent Bob Strike Back.” “It’s a movie that makes fun of sequels and remakes and reboots while being all three at the same time.” Smith said. “Jay And Silent Bob Reboot” starts shooting in August, and will hopefully be out sometime in 2019.